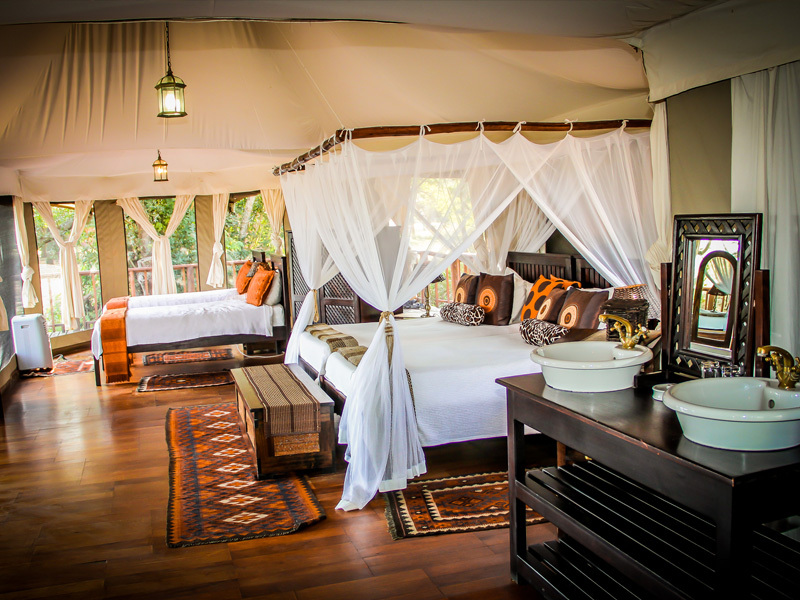 Rediscover Nature in great style and true to the African safari camp of a past era at the Thula Thula luxury tented camp, where the peaceful essence of the African bush can be heard and felt. 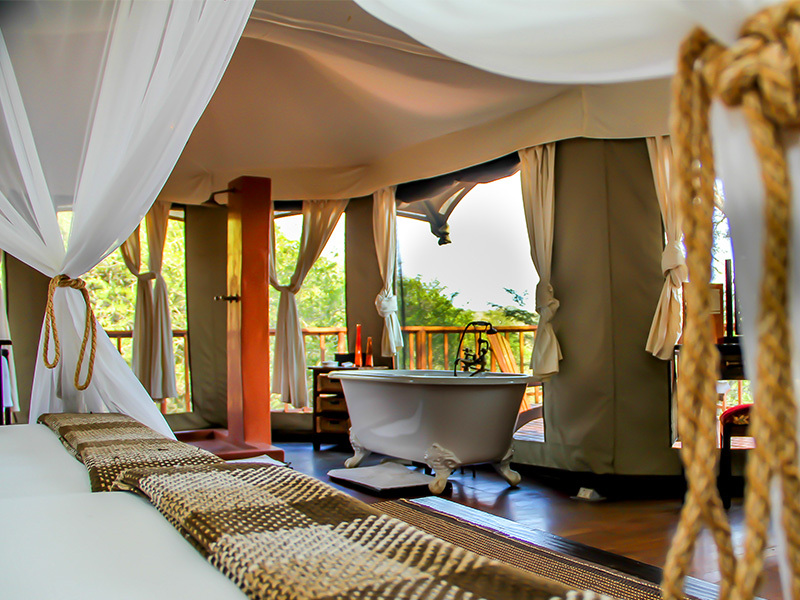 Exclusivity is assured with only 8 luxury tents, all with private viewing decks, fans, mosquito nets and luxurious en suite bathroom with Victorian bath and outside shower. 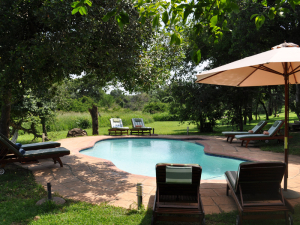 View wildlife while sipping a cocktail from the swimming pool bar or relax in your hammock overlooking the Enseleni River. Children all ages welcome. 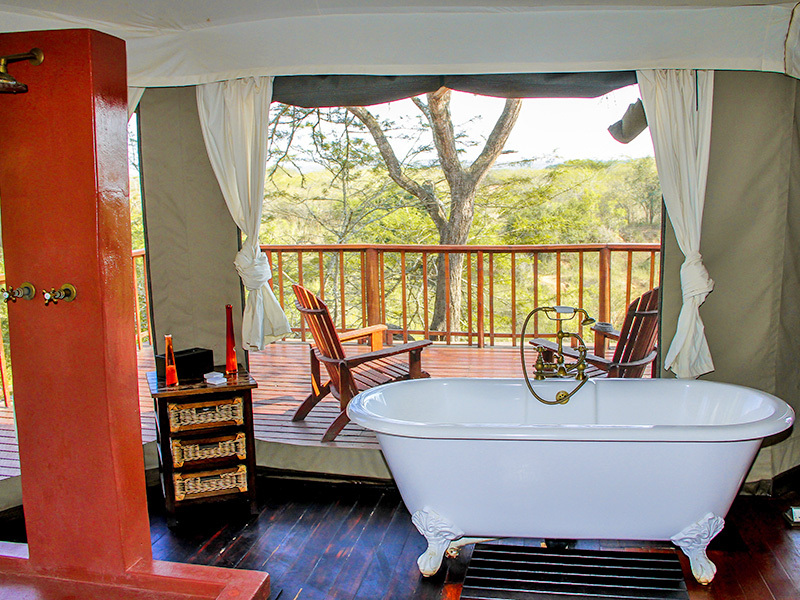 ” We spent 9 wonderful days at the reserve in July and had an absolutely amazing time! Watching the elephants playing in the water was one of my favorite moments ” Karin Stolk. 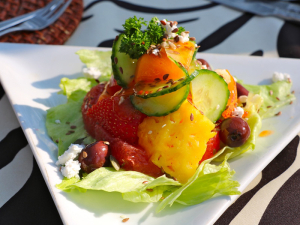 Enjoy a private living experience and couple that with the chance to enjoy a private candle-lit dining experience and you have the perfect blend for an intimate romantic safari. 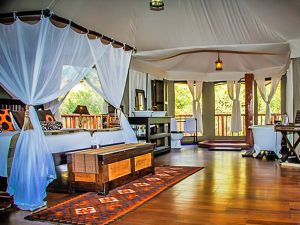 Luxurious tents decorated and built in the old colonial safari style, exclusivity is guaranteed at Thula Thula Luxury Tented Camp. 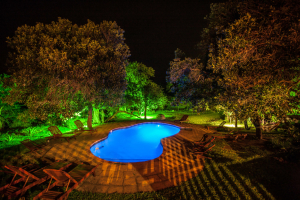 Central living area with bar, dining room, lounges, airconditioned lounge with TV/DSTV, outside thatched bar, boma, swimming pool. A morning bush walk, an afternoon game drive. 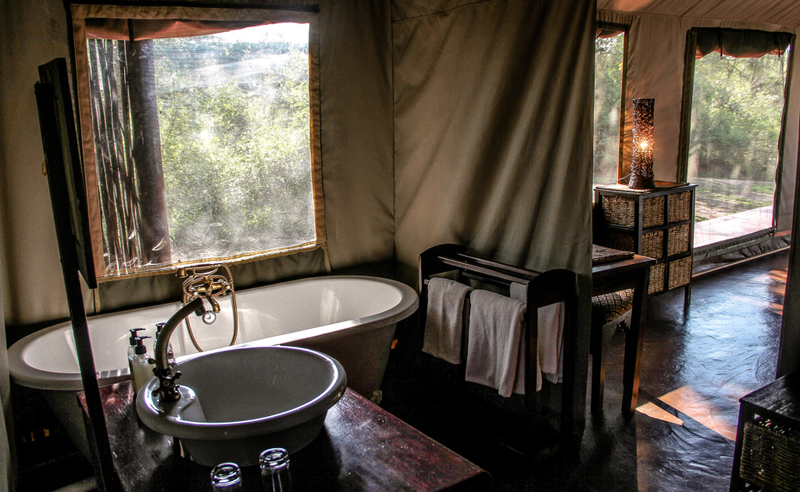 Game drives and bush walks are conducted on the Thula Thula private game reserve by our professional rangers and trackers. 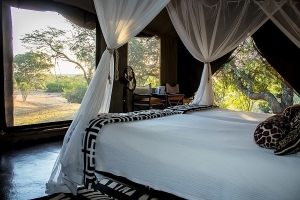 Game viewing includes elephant, rhino, buffalo, leopard, giraffe, crocodile, hyena, wildebeest, kudu, nyala, zebra and many more, including exceptional birdlife. 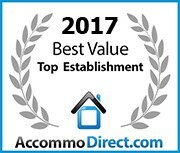 Children 2 to 11 years old pay 50% of adult rate if sharing with parents or 2 adults in the family tent or in standard luxury tent. Children under 4 years old are not permitted on game drives. 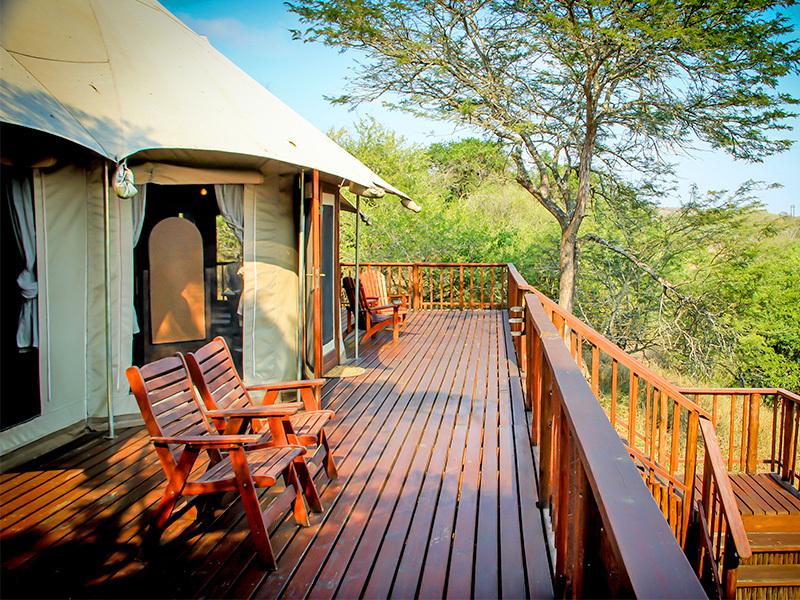 Mini Bush walks for children under 12 are organised within the fenced perimeter around the tented area with rangers and trackers. 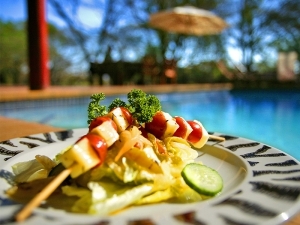 A buffet lunch is served around the outside thatched bar or by the swimming pool. 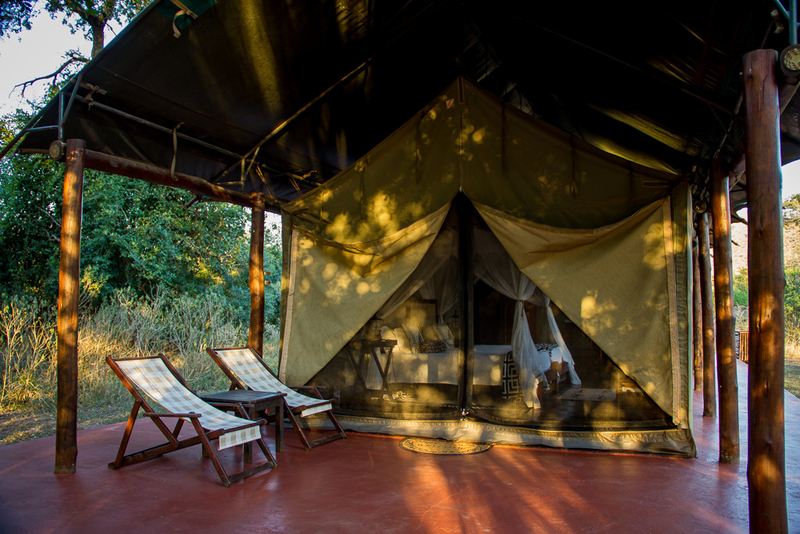 Dine under the stars in the boma for a traditional South African braai (barbecue) or a pojkie (meat stew with vegetables cooked on the fire in a cast iron pot) where you will share stories of the day’s game viewing or the legends of the bush with your hosts, our dedicated rangers and trackers.